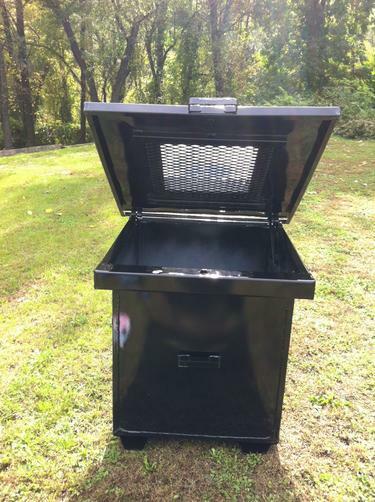 Paulsonbilt's 100 gallon vegetable oil (grease) storage container. 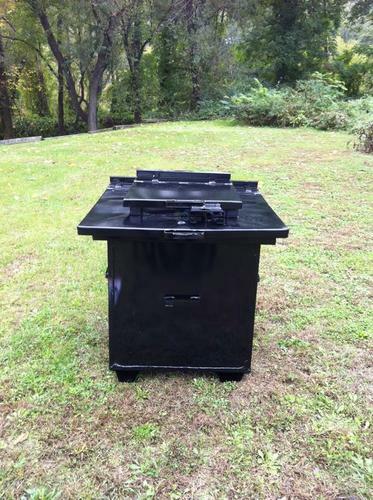 We are capaple of changing to any size you desire from 100 to 600 gallon capacity with double locking lid. Picture shows lids closed and locked.